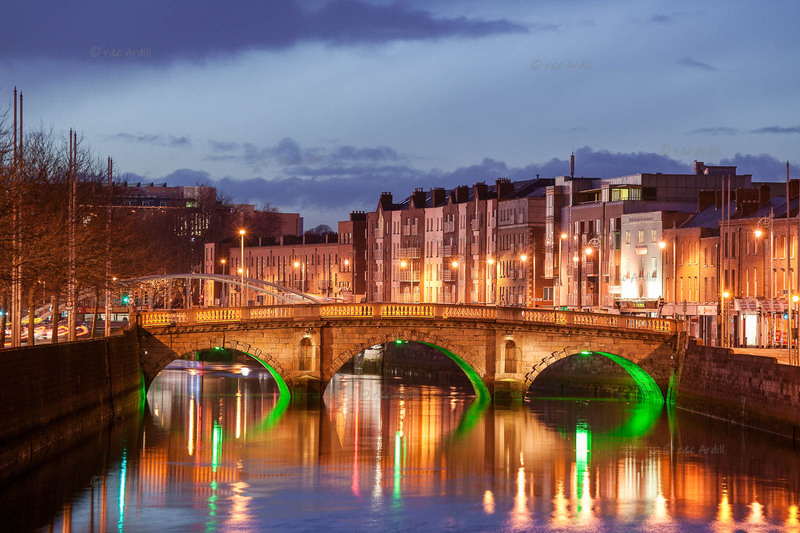 Photo of: East Coast of Ireland: Dublin: Liffey. Image of the Queen Maeve Bridge, Dublin, early evening. The illumination of the bridge is interesting as can be seen from this photograph, with green lights under the arches. This is a picture of the oldest standing bridge spanning the Liffey. The bridge is named after the legendary Queen Maeve of Connaught who invaded Ulster.